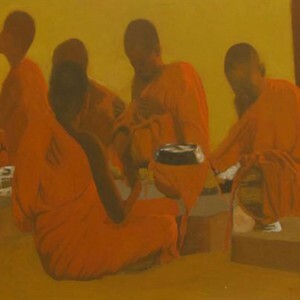 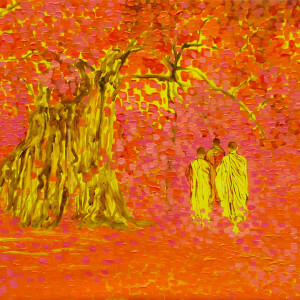 Capturing a scene from the life of a Buddhist Monastery, Vu Thai Binh merges the traditions of Eastern and Western art in this painting. 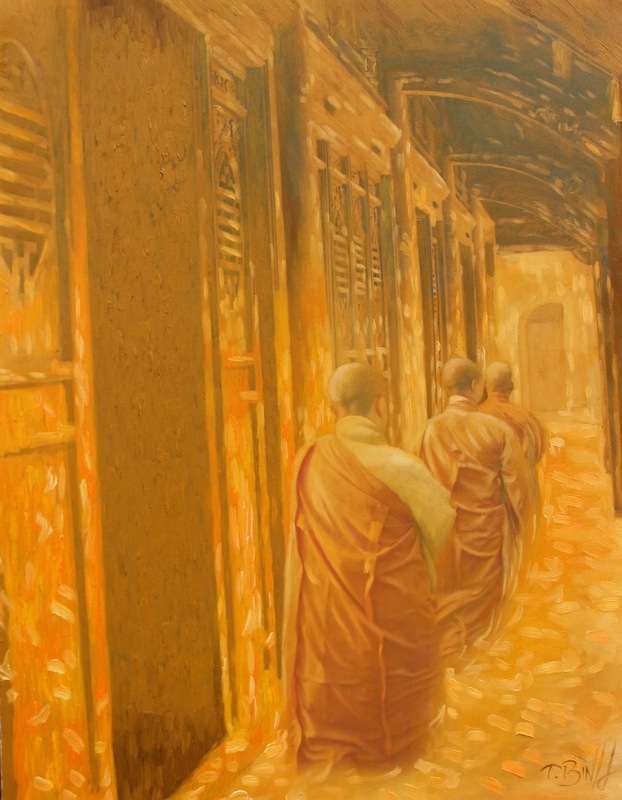 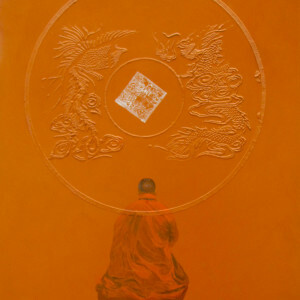 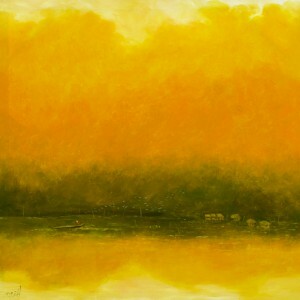 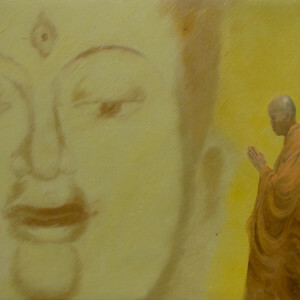 He inherits the appreciation towards yellow, saffron colors from traditional Asian art, matching it with liberate wide brushwork in the rendering of the interior. 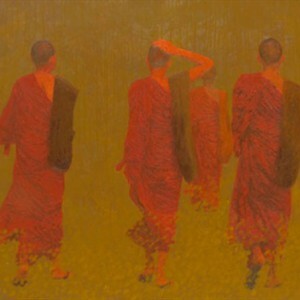 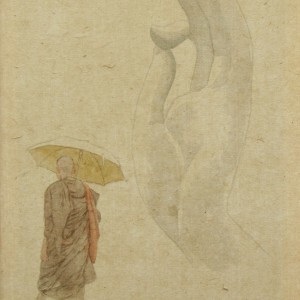 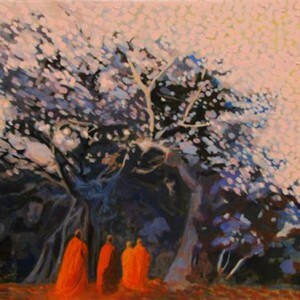 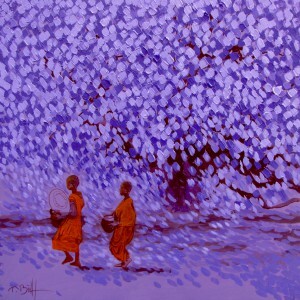 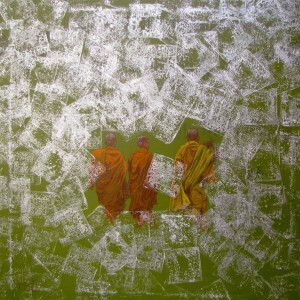 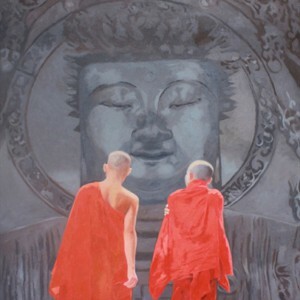 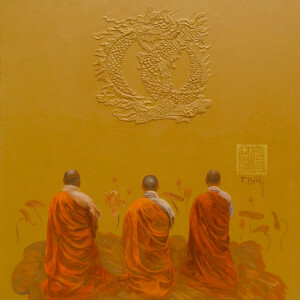 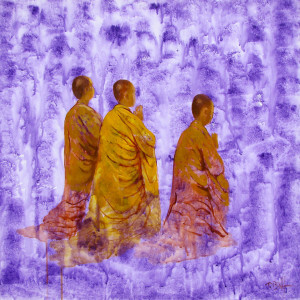 Matchless Asian art from Vu Thai Binh!